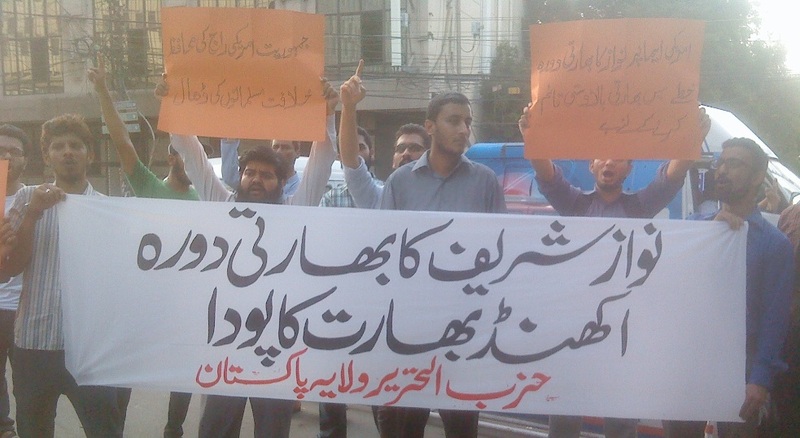 Hizb ut-Tahrir Wilayah Pakistan held demonstrations across Pakistan against Nawaz Sharif’s visit of India. 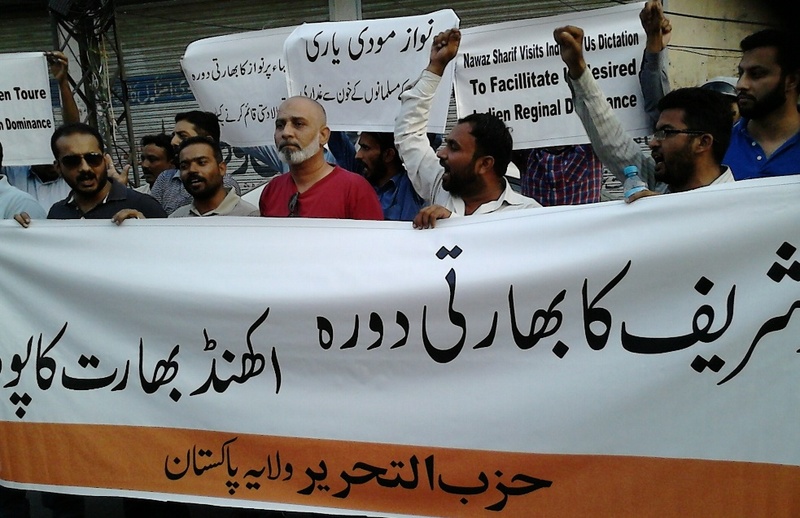 Demonstrators held banners and placards declaring that “Nawaz Sharif's India Tour, Laying the Seed of Indian Dominance”, “Nawaz- Modi friendship, Treason Against the Blood of the Muslims of Gujrat”. They condemned the visit of Nawaz Sharif and any future engagement with India, as it will strengthen India and this will fulfill the American plan to place India in front of China in order to curtail China’s influence in the region, and to stop the rise of Islam as a power. Protesters called the sincere officers of the armed forces to cut their support to these traitors, who do not care for their fellow Muslims and feel no shame in meeting and greeting the enemies of the Muslims. They asked them to provide Nussrah to Hizb ut-Tahrir in order to bring back the Khilafah to these lands of Pakistan, the Pure, the Good.